Chimpanzees seem almost human in their manner, and it's no wonder. According to a international study by the Chimp Sequencing and Analysis Consortium, published in the February 2001 "American Journal of Human Genetics," they carry 96 percent of the same genetic blueprint as humans. If you are thinking of keeping one of these primates as a pet, you'll do well to reconsider. The chimpanzee temperament -- while strikingly similar to your own -- is not well-suited to domestic captivity. The popular children's book hero "Curious George" is aptly named. Highly intelligent, chimps are innately curious about their surroundings and will learn through trial and error what works and what causes trouble. If you are planning to keep a chimp as a pet in your home, expect the chaos of a toddler with adult motor skills. A full-grown chimp can overturn a refrigerator in search of food. He may climb, or shred, your curtains to get a better view out of the window, unscrew or smash lighting fixtures to figure out what makes them glow, overturn the garbage can to investigate interesting smells, throw the dishes across the kitchen like discs to see how far they'll fly, and pull the stuffing out of pillows or mattresses to carve out a resting place inside. If left uncaged, your chimp could even escape from your home by the window or door and go exploring the neighborhood. 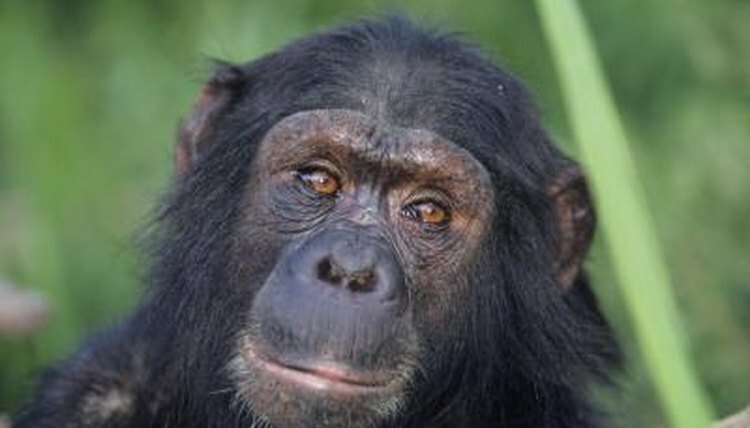 Chimps are not unlike humans, emotionally speaking. They are capable of happiness, anger, sadness, joy, frustration and perhaps love if not affection. What chimps appear to lack is the impulse-control and reflective reasoning that tempers mature human emotion. Like small children, chimps are likely to behave in accordance with emotion, good or bad. A chimpanzee's physical strength, though, is roughly 10 times that of an average human's, and his tantrums can have devastating consequences, including serious injury or death to nearby humans. In the wild, chimpanzees live in large troops of 40 or more. These networks are integral to the developing chimp in learning how to navigate socially, find food, groom, climb and self-identify within a hierarchical structure. Baby chimps who are taken away from their natural habitat and sold as pets are deprived of the opportunity to develop necessary social and survival skills, and may act out in inappropriate or unpredictable ways in a human environment. Left alone or caged for extended periods of time, a chimp may become depressed or aggressive. Chimps may appear childlike, but they are incredibly intelligent animals who use deductive reasoning to figure out how to survive and thrive in their environment. They are highly adaptable, and they know no rules as humans do in regard to what's appropriate. A chimp in the wild may open nuts using a stone as a tool. He will make a drinking cup out of a large leaf or lure insects out of their nests with a stick. Domesticated chimps have even been taught to communicate with sign language. Left alone, a chimp in your home can cause untold amounts of damage as well as put himself at risk. Are Hissing Cockroaches as Dirty as House Cockroaches? Can I Own a Streaked Tenrec Pet?